How clear is your vision? Eyewear Concepts is a leading provider of optometry services and vision care products in the Dickinson community, and we want to help you achieve and maintain a clear vision for years to come. Eyewear Concepts has been a leading provider of optometry services and vision care products in the Dickinson community since 1981, and we want to help you achieve and maintain clear vision for years to come. Our experienced eye doctors offer comprehensive vision examinations at our Dickinson optometry office and specialize in the diagnosis and treatment of a wide array of eye diseases, conditions, and problems. We use advanced diagnostic technology and vision correction products and are committed to improving the quality of life of persons in the Dickinson community through enhanced vision. Give yourself the gift of clear vision – schedule an appointment with your eye care provider today. The leading provider of quality vision care products and personalized optometric services in Dickinson. Since 1981, Eyewear Concepts has been the leader and preferred provider of quality vision care products and personalized optometric services to our patients in Dickinson and the surrounding areas. Our experienced doctors and staff offer comprehensive vision examinations and specialize in the diagnosis and treatment of a wide array of eye diseases, conditions, and problems. In our mission to provide the best eye care services possible, our doctors use only the most advanced, state-of-theart diagnostic technology and eye care products available. We are committed to educating our patients and providing personalized eye care services to the people of Dickinson and the surrounding areas. At Eyewear Concepts, you will find eye care professionals who genuinely care about your health and are dedicated to providing exceptional personal service to everyone who walks through our door. vision the level of care and attention it deserves. Meet the experienced and friendly doctors and staff who make Eyewear Concepts the leading provider of vision care products and services in Dickinson. 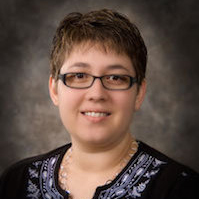 Dr. Melanie Miller Oltmanns grew up in rural North Dakota. 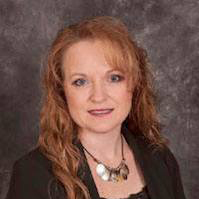 She graduated with a Bachelor of Science in secondary education, with majors in Composite Science and Spanish from Dickinson State University. She received her Doctorate of Optomety degree from Pacific University in Forest Grove, OR, where she was awarded the Vistakon Award of Excellence in Contact Lens Patient Care. Dr. Oltmanns is an active member of the American Optometric Association. She has earned and maintains her certification for the treatment and management of ocular disease. She also maintains DEA certification. 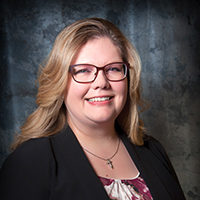 She is an active member of the North Dakota Optometric Association, and has served in all chairs of the Board of Directors. Dr. Oltmanns has been enjoying and appreciating the opportunity to practice primary care optometry for 20 years, in southwest North Dakota. In her spare time, she loves visiting with family and friends and reading. Dr. Nate Shilman grew up in Bowman, ND. He attended the University of Mary and graduated with a Bachelor of Science in biology and a minor in chemistry. He received his Doctorate of Optometry from Pacific University College of Optometry in Forest Grove, OR. 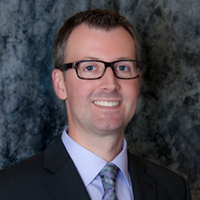 Dr Shilman is an active member of the North Dakota Optometric Association and American Optometric Association where he is a member of the Contact Lens and Cornea Section. 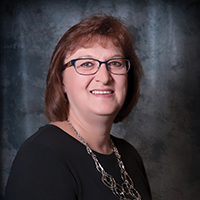 Dr. Shilman has been practicing primary care optometry with Eyewear Concepts and serving patient of southwest North Dakota since 2004. Dr Shilman and his wife Angie have two children: Jacob and Lucas. Dr Shilman enjoys running, mountain biking, downhill skiing and reading. He also enjoys spending time with family and friends as well as traveling. Lisa was born and raised here in Dickinson. She has been with Eyewear Concepts since August of 2000. She is a Certified Paraoptometric Assistance (CPOA) and a member of the American Optometric Association since 2001. Lisa is very versatile in the office. She works mostly with insurance filing and accounts, but also works Reception, Special Testing, Pretesting, and Optical Lab work. In her spare time, she enjoys spending time with her daughters Meghan and Isabella, family and friends. She also enjoys reading a good book, playing cards and camping. Laverne is a native of rural Dickinson, ND. She has lived in Dickinson, since 1978. 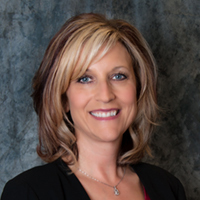 Laverne began working with Dr. Melanie Oltmanns in September of 1998 as a Paraoptometric. In 2001, she became Certified Paraoptometic (CPO) and a member of the American Optometric Association. She has maintained her certification though continuing education. 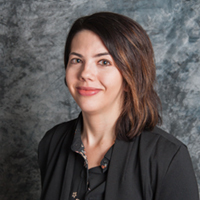 She specializes in patient care, pretesting, special testing, contacts, and low vision care. In her spare time, Laverne is a host of a local cooking show called Cooking Crave. She and her husband, Ron enjoy camping and traveling the United States. They have 4 children and 7 grandchildren that keep them very busy. Deidra is a Certified Paraoptometric (CPO). 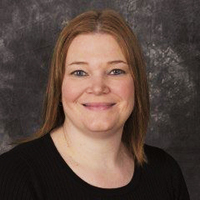 She works with pretesting exams, performs special testing, contact lens training, checking-in / out patients, answering the phones, and scheduling appointments. As a Dickinson native, she has lived here most of her life except for living in Fargo, ND while attending Minnesota State University Moorhead. She enjoys working out, photography, traveling, learning new things, and all with coffee in hand. Cheryl is originally from Mandan. 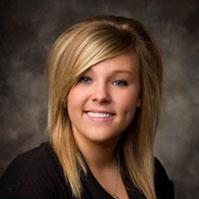 She moved to Dickinson area to attend college at Dickinson State University with a degree in elementary education. 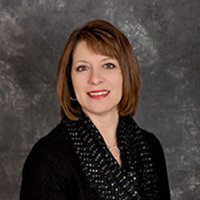 Cheryl has been with Eyewear Concepts since September 2013, she is a Certified Paraoptometric. 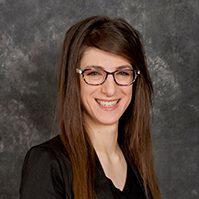 She works with pretesting exams, performs special testing, contact lens training and can also perform frame selections, repair of eyewear and adjustments of frames. In her spare time, she loves spending time with her family and friends and camping and hot tubbing. Cheryl and her husband Kenny have three children Jacob, Jessica, and Jarrid. 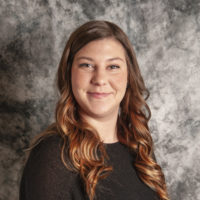 Trisha is from Dickinson and graduated from Dickinson State University in 2015 with a degree in Art Entrepreneurship and Graphic Design. She assists our patients by pretesting exams, performs special testing, and contact lens training. She also helps our office with all our advertising needs In her spare time she likes to binge watch Netflix and spend time with her boyfriend and cats. McKenzie was born and raised here in Dickinson. She graduated from Dickinson High School with honors in 2010. McKenzie has been working as an optician with Eyewear Concepts since August of 2011. She assists patients with frame selection, frame adjustments, edging and fabrication, along with the maintenance and repairs of frames. 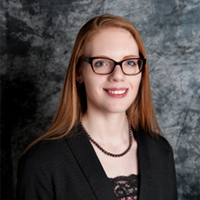 McKenzie enjoys working with patients and is always happy to help you with any of your eyewear needs. In her free time, McKenzie is busy enjoying being a new mom to her daughter Aubrey. She loves spending time with friends and family. McKenzie enjoys camping, shopping, and playing hockey. Ramona grew up on her family farm south of Dickinson and graduated with honors from New England St. Mary’s High School in 1984. She married Dean on April 11, 1986. They live on his family farm north of Dickinson and have two sons. Mitchell is 21 and is in his third year of study for mechanical engineering at the South Dakota School of Mines in Rapid City. Dillian is 15 and a freshman at Trinity High School. They also have two four legged family members, a German Shepherd named Maya and a Lhasa Chon puppy named Chloe. Ramona started her employment with Eyewear Concepts in May of 2013 as receptionist and is now enjoying working with patient as an optician. During the summer she likes to go camping at the lake and golf. During the winter she enjoys cross country skiing. Denise was born and raised in Fargo, ND and has lived in Dickinson since 1994. 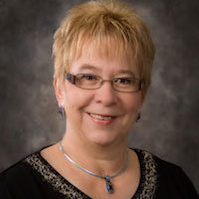 She graduated from Moorhead Technical College in 1985. Denise has been with Eyewear Concepts since September of 2013 as a receptionist. Her responsibilities include checking-in / out patients, answering the phones, scheduling appointments, and helping out with pre-testing. Denise enjoys working at Eyewear Concepts and greeting all of the patients. 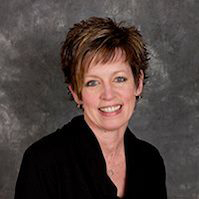 In her free time, Denise enjoys spending time with family and friends, knitting, reading, cooking/baking, and riding motorcycle with her boyfriend, Reid. Denise and her late husband, Francis, have two sons Franc and Tristan. Lisa grew up on her family farm south of Dickinson and graduated from Dickinson High School with honors. She is one of the smiling faces you’ve seen at the front desk at Eyewear Concepts since October 2016. She works with frames and lens selection and adjustments. She loves working with our patients and is looking forward to being trained in all areas of the office. Lisa enjoys coffee, reading, traveling, board games, and baking delicious cheesecakes for the office. She’s also the proud mother of her basset hound, Banjo. Chris was born and raised in Dickinson. She has been with Eyewear concepts since April 2014. She is currently an Optician and Paraoptometric assistant. She works with frames and lens selection and adjustments as well as pretesting exams, performs special testing, and contact lens training. Chris is married to Aaron and has two daughters, Alie and Bree. In her free time she likes to travel and spend time with family. Lynn grew up north of Dickinson and graduated from Dickinson High School in 1986. She married Terry in 1988. They live near Dickinson and have two children, Carly 22 and Christopher 19. Lynn started with Eyewear Concepts in February 2017 as a receptionist. Her duties include welcoming patients to Eyewear Concepts as well as registering, answering the phone, making appointments, checking insurance, and taking payment. In her free time she enjoys her garden, flowers, spending time with her family, her dogs, reading, and baking. In 2013 Trinity moved here from Deadwood, South Dakota. In Deadwood she worked at Deadwood Eyecare for 6 years as a paraoptometric and also helped out at the front desk and optical. She is excited to be back in the optical field again after being away for 3 years. Trinity is married to Michael Bates and has two sons, Landon and Joseph. In her spare time she likes to spend time with her family riding ATV in the Black Hills. She also enjoys watching her youngest play varsity football. Dusty was raised in Rapid City, SD, and moved to Dickinson, ND when she was 16. She graduated from Dickinson High School in 2011. Dusty has been with Eyewear Concepts as an optician since July 2018. She loves working with our patients and her laugh can be heard throughout the office. Her duties include working with frames, lens selections, and adjustments. Dusty has been with her boyfriend Leland since 2011 and they have a daughter named Lindy. In her free time she loves spending time with her family, fishing, and hunting.